Will you be our Valentine? 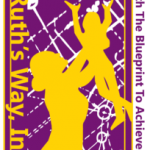 Shop at smile.amazon.com/ch/20-2724398 and AmazonSmile donates to Ruth’s Way Inc.!! !